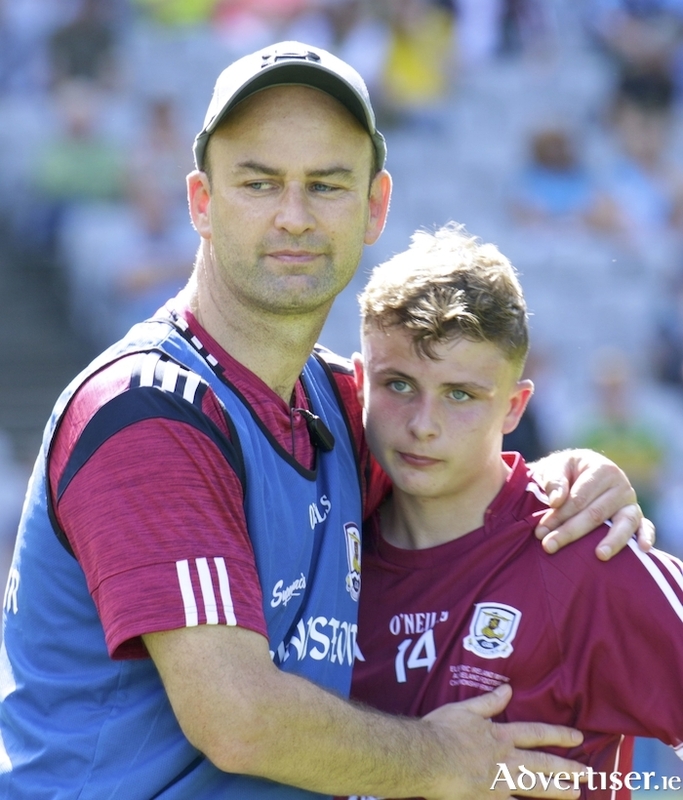 Galway minor football team manager Donal Ó Fátharta, was gracious in defeat despite the disappointment. “Hats off to Kerry. We knew they were a super team," he said after Kerry completed an historic “five-in-a-row” of All-Ireland titles. Ó Fátharta and his management team has worked hard all season against some tough odds, but came up short to lose last weekend’s final by four points at Croke Park. "We knew they were a super team. We were trying to get our guys ready for the challenge they posed. Every team is beatable, but they had a little more quality than us, all over the pitch and they had a very strong bench. Galway had led by four points at half-time, but it could have been more. “The message we told the lads all week was if we were going to take Kerry, we had to take our chances. We didn’t take them in the first-half, " said Ó Fátharta. "Aidan Halloran was in on the side once or twice, Tinney [Eoghan Tinney] had a chance for a goal. We had a spell and then Kerry came back and got a couple of points to stay within touching distance. Even at the start of the second-half, I thought we held them out well. Kerry had a few wides and were a little bit panicky. That was the time to push on, but we couldn’t manage it. “Our players and all the subs, who came on, worked their socks off, and we are proud of the effort they put in. We were struggling defensively with numbers and height. I thought the full-back line put in some shift, because that Kerry full-forward line is serious - They are super footballers. Ó Fátharta is hopeful some of the 2018 U17 panel will make it at older levels with Galway football in the future.